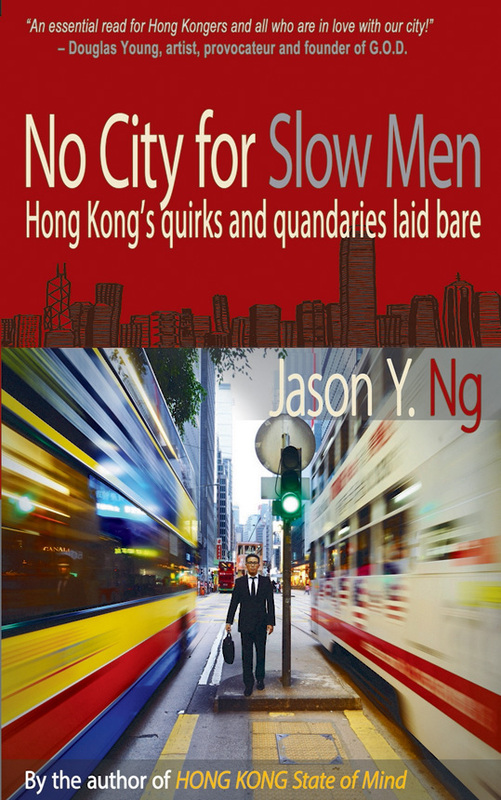 I loved Jason Y Ng’s narrative, Hong Kong State of Mind (Blacksmith Books, 2012), so was excited to read his new book, No City for Slow Men (Blacksmith Books, 2014). Similar to his first book, Ng’s new one is a collection of essays about current issues in Hong Kong. His books are a great way to stay connected to the issues there if you live outside the territory. And they are perfect if you want to learn more about this incredible city. Jason Ng has a compassionate take on the tensions between locals in Hong Kong and the mainland Chinese. One of my favorite chapters deals with immigration issues for foreign domestic workers, many from the Philippines and Indonesia. Ng is a little less forgiving (and for good reason) when it comes to Anglo expats who come to Hong Kong and think it’s theirs for the taking. I enjoyed learning about Ng’s childhood and how he worked as a courier for his newspaper illustrator father, who also illustrated this book. No City for Slow Men is a quick and enjoyable read. I look forward to Ng’s next book. For the time being, you can check out his fabulous blog here. I really enjoyed this book, I learned a lot about HK and Cantonese culture in general. There is a bit of a wall between the expat world and the local scene, and Mr. Ng has done a lot to remove those barriers and let the English-speaking world see what’s really down. The theme’s on maid abuse in particular were heart-breaking and written with much compassion indeed. And quite fair on mainland relations issues, a topic which seems to be getting more vitriolic all the time. If only more people had the heart that Jason Ng has! Thank you! I thought the same things and loved your review of it in the Shenzhen paper! He really shows compassion toward the two populations that have a tough time in HK–the domestic helpers and folks from the mainland.